Today I am on the third day of being stuck at home. Well...technically...not quite as stuck as the picture might imply...but nearly. But for today's topic, I am talking about boredom. Thought Number One: Boredom is amplified by the fact you know you can't leave the house. If I was free to just jump in my car and go somewhere, I might choose to stay here and get a few things done. I have some hardwood floors that could use some polishing. I have some material waiting to be made into draperies and I have a stack of books waiting to be read.... but none of this sounds remotely interesting because I am stuck here. The fact that I am not ABLE to leave my house today, puts the kebash on any enjoyment that I might derive within my house today. There is something about having worker-guys hovering around my house that keeps me from being relaxed or productive. It is what I call the "rat on the ship" syndrome. When forced to stay home, I equate it to being a rat on a sinking ship. I can only focus on my eminent demise when I should be focused on perfecting my breast stroke. 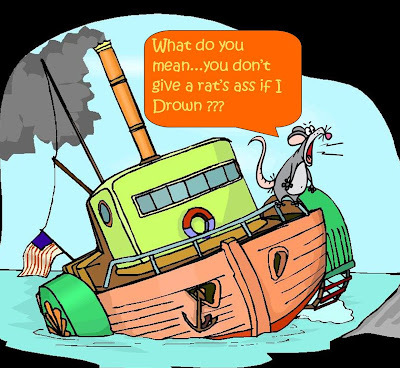 For the purposes of my analogy..today I am the rat and I am going down with the ship. So instead of being productive, I am holed up in my office in front of my computer doing what what all uninspired time wasters do...playing around on the Internet. Normally, I am not a huge Facebook person. OK to be clear, I like FB enough to read it and be thoroughly amused by all the little quotes and silliness. I am just not good at participating. 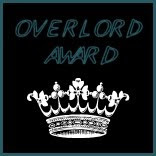 I am seriously thinking about starting up a group for all of us "dysfunctional FB users". Perhaps we could hire trainers to improve our FB proficiency and do remedial FB classes. Because of my forced incarceration today, I have been on Facebook picking up great insight to peoples lives. Aren't they cute.The Sisters got out of the house...er..convent today. They aren't bored. 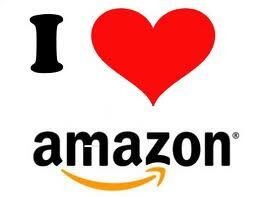 After spending an inordinate amount of time amusing myself on Facebook, I have moved onto Amazon. My lack of participation on Facebook is made up in spades with my enthusiasm for Amazon Prime. If shopping on Amazon was an Olympic sport, I would have a gold medal. One click, it's mine in two days and I don't have to go into a store. I suddenly realize the cure for boredom when one is a rat on a sinking ship....and it is not swimming but ...shopping. Today is going to be an expensive day. Being as our car is on the disabled list I can sympathize with how you feel. When you can go somewhere you may just choose not to; but knowing that you can't for whatever reason is infuriating. Loved the billboard. I love being "stuck at home" - but I loath home repairs! "The fact that I am not ABLE to leave my house today, puts the kebash on any enjoyment that I might derive within my house today. " Its the good ole wanting what you can't have feeling! 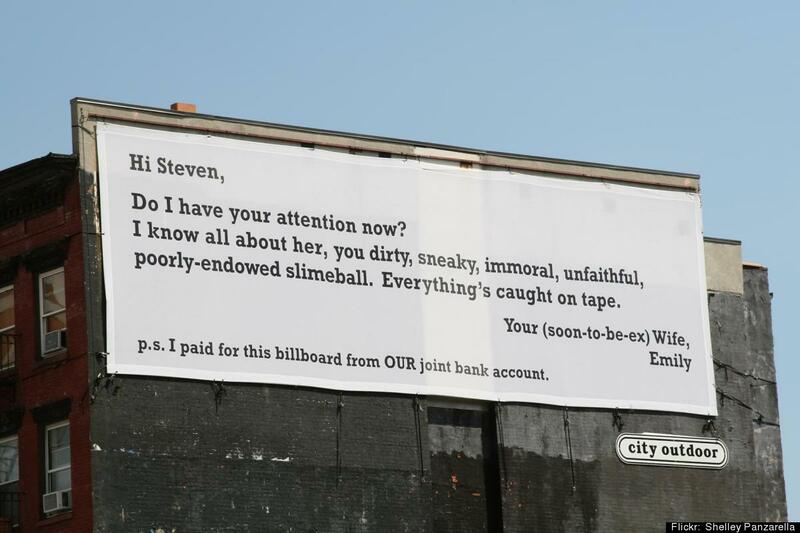 Love the billboard casting light on Steven's infidelity. As a Steven myself, it's good to see another Steven not depicted as being gay. Oh crud, that doesn't sound fun at all. I am truly desperate when I am without a car. I bought my car from a dealership in TX just because they still offered loaners. Here I have been known to rent a car if mine is in the shop. You are right...it is the knowing you CAN"T do something that makes it unbearable. I love to be holed up in my house when I am given the choice. Especially on rainy days with a good book. I hate it when worker bees are making all kinds of noise and have ladders outside my windows. We need to be thinking up a clever name for the dysfunctional FB users group. Okay, I will totally try to think up a good name! I think the Steven on the billboard would be far better off being a faithful gay man than the slime ball he seems to be. 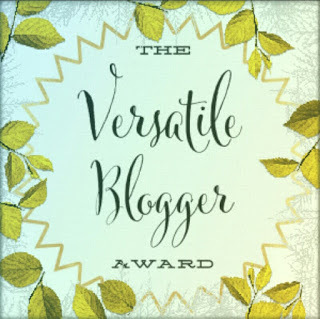 Thank you for the openhearted post. While reading it I have learned few new to me words, improved my English. That was worthy the time to read your story out of itself. Tomas you are a dear person. I use of lot of slang in my writing so be cautious with how much you take away from my fractured use of the English language. For the most part, I am viewing things in a very lighthearted way. My 3 days of being confined to my house certainly is miniscule to the years you have dealt with your disabilities. The way you have used your art to expand your world is inspirational. 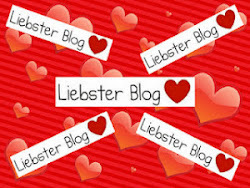 I follow your blog and will continue to visit regularly. I did the Amazon Prime thing for a while - I loved it! I spent a lot of money because it was so easy and cheap to just order things and it saved a trip to town. I know what you mean about being stuck at home. I've been married to a Pumpkin Patch all summer and through this Fall. I really haven't been able to get very far from home because there's so much to do. The more I read about your jobs and how knowledgeable you are, the more I wish we lived in the same area. I had new windows put in a couple of years ago by someone that was highly recommended. I recently found out that about half of the 38 windows had installation problems which was letting water leak behind my wood siding. UGGGGHHHHH...Of course when I called the window company they went out of business. I find interesting that they still have an A rating on Angies list. For those of us that depend on the people we hire to know what they are doing this is frustrating. I don't know enough to know what I don't know. I was so excited to see you were open for business. Gosh from this end it seems like it went fast. I am sure that is not the case at your end as all the various sprayings and work involved sounds tremendously hard. Hopefully you will get a chance to take a long break over the winter again. I just love all your posts! I have not idea where you get your stuff, but sometimes I laugh so hard I cry. That "Why men shouldn't write advice columns" is so laugh out loud funny that my wife had to see what had me laugh so much. That is just a classic. It has been a bit since we were held captives in our home for work being done, but I remember the feeling. Not fun and even if you try to work, it seems like there are so many interruptions that you get nothing done. FB doesn't do it for me either. I can say for sure that I know what you mean, I was stuck at home for 10 months while going through my cancer treatments. Then I was allowed to drive unless it was to the doctors. Was I bored or what! I shopped a lot at amazon, QVC and HSN and I have the bills to prove it! LOL! It can be financially dangerous to be stuck at home to long. Thank God I went back to work, it will save me a lot of money! Well, I was stuck home today replacing the failing hard drive on my desktop computer, I did all the backups and downloaded all the instructions in the morning, then removed the old (failing) one. Amazon was the hero in this story ... I ordered the replacement drive at four on Monday and it was here at eleven on Tuesday. By mid afternoon I was on the air again. But it did make for a boring day. I am so glad you enjoyed that clip. I, too thought it was funny and classic. Now that you have said "it's been awhile" you have probably jinxed yourself. Did anything break after you typed that? Thank you for the kind words. I am so glad you find some humor in my blog. I think I should have to have the words "silly little whiner" tattooed on my forehead when I compare three days of windows being removed and re-installed compared to what you have been through. If I was confined to my house for 10 months, my husband would be well within his rights to disconnect our Internet...which he probably wouldn't do because he loves Facebook. Perhaps he would just have to call and tell Amazon to cut me off. That all sounds very impressive. What a smart guy you are. If my laptop doesn't behave like it is supposed to..and if swearing and rebooting simultaneously doesn't fix it...it goes to the computer doctor. I understand how you feel. We had to get an electrician out for some repair work. He was only supposed to be here for 2 hours.. ended up having to work 7 hours. Ugh. I felt sorry for him, but then felt sorry for me too because I was stuck at the house and it IS weird knowing there are strangers in your home! You are absolutely right. Having a repairmen in your home over a period of time feels foreign. It's hard to relax knowing people are there that you don't really know. Tomorrow, I still have people here working but I think all of the work will be on the exterior. I will still be tied to the house but I think it will be easier. To be honest, I kind of like when we have repair people at our house. It gives me an excuse to stay home and do nothing. There have been times, especially lately, when I've considered deliberately breaking something just to have it repaired. 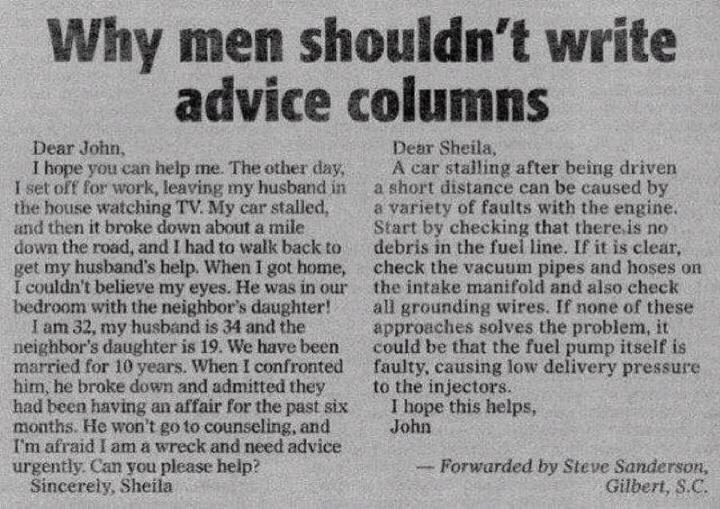 As for the advice column - LOVE it! And I don't even find it inappropriate. I have a feeling "Sheila" is going to NEED someone around very soon who can help with auto mechanical issues! As for the billboard - BRILLIANT! Except, if I were Emily, that last line would have read: P.S. I paid for this billboard out of our JOINT account. AFTER I withdrew my half of the money! I like snow storms for the same reason. It gives me an excuse to not have to go anywhere. The problem with repair people in the house is I have to actually be attentive. No napping or taking long baths because these strange men are in the house. I thought that newspaper clip clearly defines the difference between how men think and women think. See...this is why you are a nice person and I am not. The reason I have been married 41 years is my husband would be afraid of what I might do if we split. Not only would there be a billboard, I would say that I withdraw all the money and put the cost of the billboard onto his charge card. I used to tell him I would take everything and give him both the kids... he'd be flying solo..no help ever. Now that they are grown that wouldn't work. Ha ha! Totally funny, and I can relate to the "got to stay home" feeling. I can get bored with a zillion things to do, even if I don't have to be confined to my quarters. It just happens. Love the stools the nuns are sitting on. They are indeed not bored. The male advice columnist is so not in touch with his readers, making me wonder if that is really for real. I don't know why that the older I get my attention span keeps decreasing. I can't concentrate if there are guys pounding nails and such. I agree that probably the advice column story was manufactured for laughs but it is funny. I thought that nun picture was really cute.